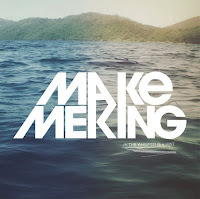 This week Preston's Make Me King release their début EP, 'The Whisper Is A Hint' through Riot Pop Records. With a healthy mix of poppy hooks and consistent straight-up rock, 'The Whisper Is A Hint' sees the five-piece producing a highly favourable first impression. Alter The Press! recently spoke to vocalist Sean Marshall to give us a track by track guide to the EP. This song title is inspired by something my Dad used to say to me when go out to town when I was underage. The actual idea for the song is a mixture really of being bored numb of day in, day out life and looking forward to the weekend to have a laugh with your friends. Also it has an awesome punchy chorus which is always really cool to play live. After recording our first two songs we wanted to write a heavier faster song because we all love playing that sort of stuff. We tried to be clever to add a bit of a different style to the verses. I think this really helps to emphasise the chorus and the intro on drums tees the opening riff up perfectly. The lyrics are written from the point of view of a relationship that has broken down and now the girl thinks she can go running off with whomever she wants but the guy knows that when it's all over she will always be keeping him hanging on. I always like starting a set with this. This is my favourite song on our EP, I hope everyone likes this song as much as we love playing it. The lyrics in this song are the story of a one night stand written from a guys’ point of view. Matt O'Grady did a really great job on production for this song because we had never played around much with effects before but it came out really well. This is one of the first songs we recorded for the EP with Romesh Dodangoda at Longwave. The original idea for this song came from the talented mind of our bassist Lewis Clark. Lewis came to us with the chords and 80% of the lyrics already written. The lyrics are about being in a relationship with someone really special and how that person is beautiful enough to be a celebrity but is right there with you. At first we tried it out as an acoustic song but we saw more in it and decided to try this as a full band. People seemed to like it so it was a must for the EP track list. This was the last song written for the EP, It started out with us all being in the practice room in Preston and Jack (Mason, guitarist) would just play this melody between practicing our set, then one day we decided that we would see what we could make of it. The lyrics came straight away for this song, it’s about being with someone you really care for, a partner or a group of friends. I had this image of staying up all night talking, with the sky turning an inky blue, knowing that it was morning soon. The idea was to have quite a stripped back intro, building up to a huge finish to the track, so it was the perfect closer for the EP. 'The Whisper Is A Hint' by Make Me King is released on November 22nd on Riot Pop. Make Me King on MySpace, Twitter and Facebook.